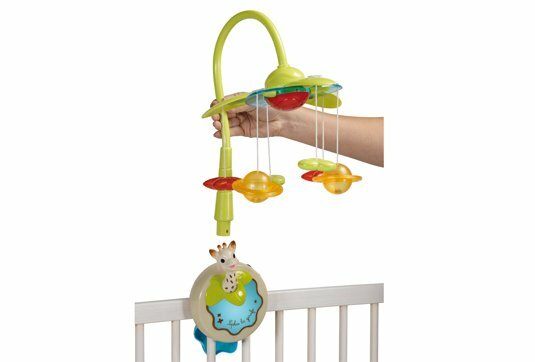 A 3 in 1 mobile which evolves along with baby offering three positions of use! 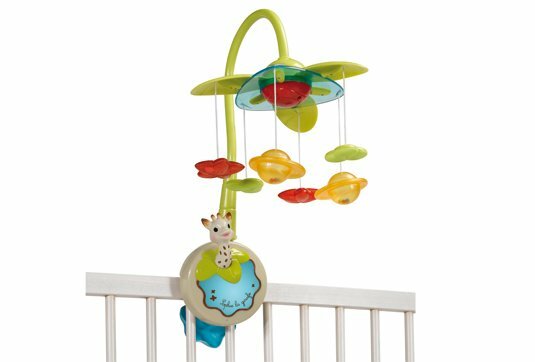 1) MOBILE FUNCTION: Baby is comforted and soothed as he looks at the different activities, with their bright colours, their phosphorescence and their spangles, gently twirling around to the sound of sweet music. 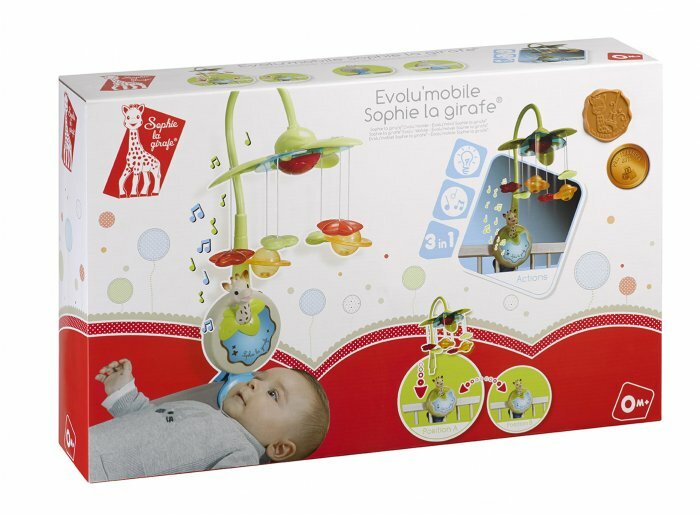 The evolu'mobile proposes 3 Sophie la girafe melodies. 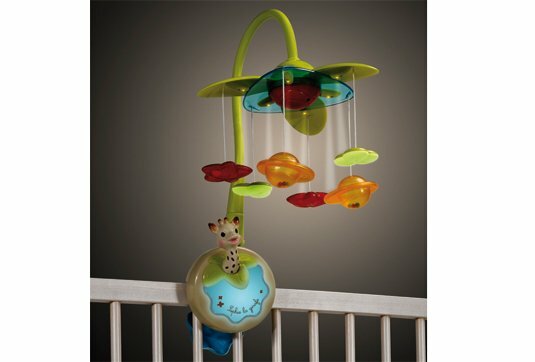 Fitted with a night light, it offers 3 possibilities of use: a musical function accompanied by the movement of hanging activities, a night light function accompanied by the movement of the hanging activities or both functions together (music and night light) still accompanied by the movement of the hanging activities. It automatically comes on again for 10 minutes when baby's tears or cries are detected. 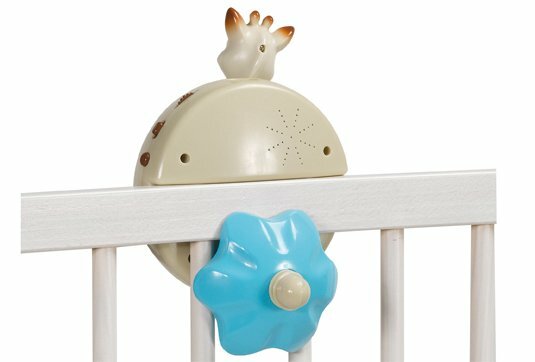 The mobile is unique: it can be adapted to all supports because it has a dual attachment system (screw + clip) enabling it to be fixed to cots with bars and firmly attached to cots with solid sides or folding beds. 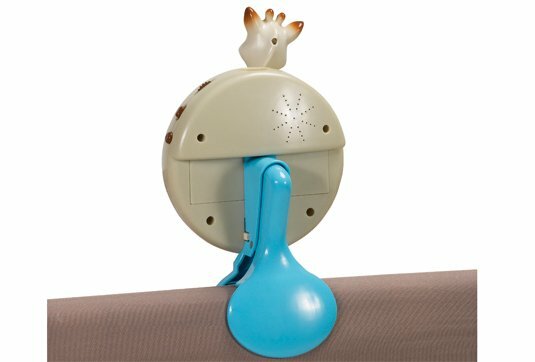 2) MUSICAL NIGHT LIGHT FUNCTION: When baby is bigger, the Evolu'mobile is instantly turned into a musical night light to be attached to the bed with its removable arm. It keeps all its original functions (melodies, night light, cry detection...). 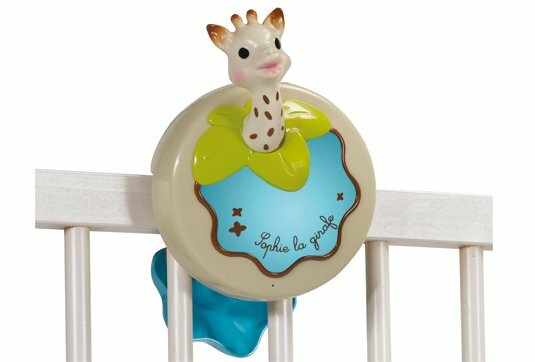 3) TRAVELLING LUMINOUS MUSIC BOX FUNCTION: Thanks to its attachment system using a strap, the Evolu'mobile will be able to accompany baby on all his travels! Works with 3 x AAA batteries (not supplied).